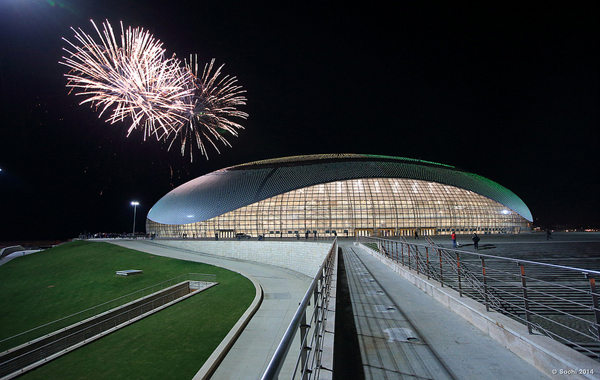 The 2014 Winter Olympics in Sochi, Russia is just around the corner. 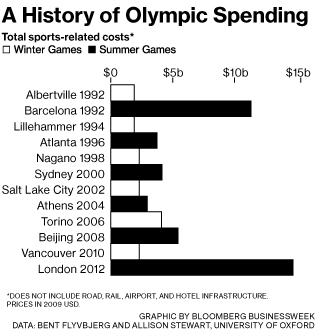 It will be the most expensive Olympics in history costing an estimated $51 billion. By way of comparison, the 2012 Summer Olympics in London cost just $15 billion. The price tag is even more jaw dropping when one considers that the Winter Olympics, which typically have just a third of the events of the Summer Olympics, are usually far less expensive to put on than the Summer Olympics. Earlier this month, Business Week published a scathing article on Russia’s spending on the 2014 Winter Olympics entitled The Waste and Corruption of Vladimir Putin’s 2014 Winter Olympics. 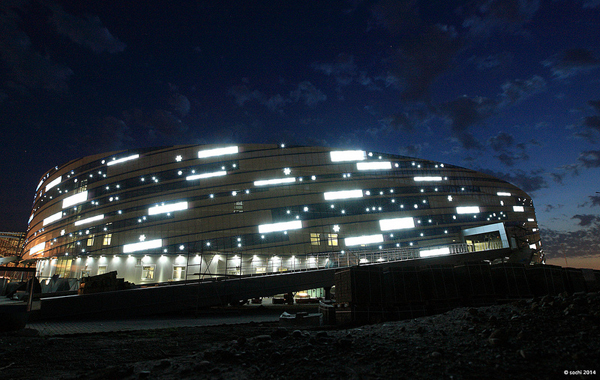 It’s an interesting article on public construction in the former U.S.S.R., particularly given the massive scope of development which usually accompanies Olympic construction, which includes not only the construction of specialized facilities for the various events but housing, commercial and infrastructure development as well. Hosting the Olympics has been a personal dream of President Vladimir Putin. Back in 2007, when Russia was bidding to host the Olympics, Russia blew away the bids of other finalists by pledging to spend $12 billion on the world-wide event. Just to show how serious he was, President Putin had a seven story tall Russian Antonov An-124, one of the largest heavy transport airplanes in the world, bring 200 metric tons of ice and all of the equipment necessary to build an ice rink in tropical Guatemala City across from the hotel where the International Olympic Committee was staying. Difficult Location – Sochi, once a destination for Joseph Stalin’s workers to recuperate (as opposed to its better known half-sibling Siberia where those needing “re”education were sent), sits on a narrow sliver of land between the Caucasus Mountains and the Black Sea with limited developable land and little infrastructure. $8.7 billion alone, was spent on a road and railway. 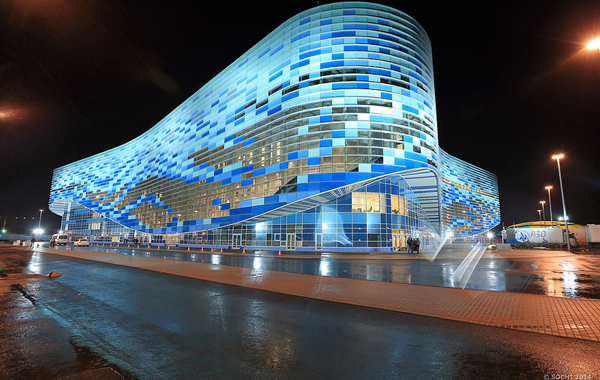 Interesting as well, for a Winter Olympics venue, Sochi is also one of the few areas in Russia with a sub-tropical climate, with average temperatures between 52 ºF and 65.1 ºF, although during the winter months it averages between 37 ºF and 50 ºF. How this will affect snow conditions during the Olympics is unknown. It may be like skiing on Slurpees. But Russia has promised snow, whether natural, man made, or otherwise, no matter what the cost. Poor Planning – Although Russia is now trying to downplay the cost of the 2014 Winter Olympics, when it won its bid, the wide-spread view of Russian organizers was that if they “throw money at it, it’ll get built.” But planners ran into a number of problems both known and unknown, including underground streams which caused recurring flooding, and a devastating storm in 2009 which damaged a newly constructed cargo port, all of which has led to increased labor, material and transportation costs. There have also been anecdotal reports of roads being built, demolished, rebuilt, demolished, and rebuilt again for no apparent reason other than the fun of it and claims of widespread displacement of residents and environmental problems. Corruption – In a political system that less than a generation ago was communist, where everybody technically worked for everybody else, there’s going to be inefficiency. And inefficiency breeds corruption. There’s even a word for it in Russian, “blat.” According to the article, there have been reports of construction companies artificially inflating bids to make up for kickbacks they would have to pay to government officials. One contractor said that he was told by government officials that the contract being awarded to his company was worth 250 million rubles ($7.7 million) “on paper,” but that his company would actually only receive 170 million rubles, the rest presumably being pocketed by the officials. And, who’s paying for all this? Well, the Russian government of course. And, private investors. Private investors helping to fund Russia’s Olympic construction are motivated less by the pursuit profit, says the article, than a tacit understanding that under Putin they have certain obligations to the Kremlin. According to one former government official, “They got a call saying, ‘There exists the opinion that you should build this or that [project]. 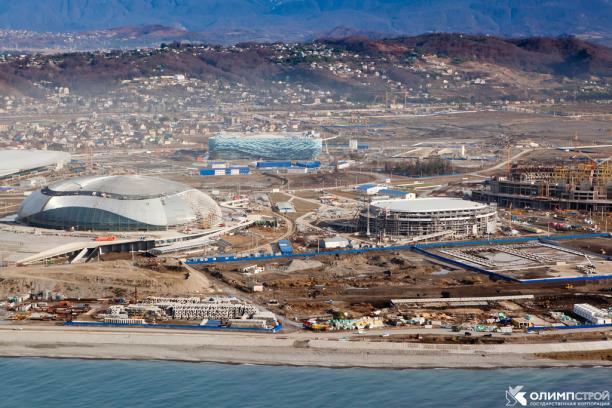 '” Representatives of one such company that is renovating the local airport and building the Olympic Village say that they don’t remember how it was they decided to invest in Sochi. Well, I suppose that’s one way to do a public-private partnership. Putin style. The venues look quite nice though.